Throughout life, we are faced with many challenges and we go thru what I term as “life transitions”. How we choose to manage and/or cope with these transitions, will lay the ground work for how our lives will look in the future. I define “life transitions” as a point in your life when you are faced with either a significant change and/or personal challenge that may impact your life and possibly those around you (depending on how you choose to cope with these transitions). Some of these changes are things we choose to do and others come at us from out of no where. Some examples of “life transitions” include relationship changes (i.e. marriage, divorce, separation, etc), birth or death of a loved one (i.e. child, parent, spouse, friend, etc), career changes, a change in your health status or that of a loved one, moving, or a decision to become sober from drugs and/or alcohol. I am sure there are many other examples you may think of or have experienced. In my role as a therapist, I assist individuals with managing these “life transitions,” offering guidance, opportunity for insight and direction, and facilitating positive change to equip you to better cope with these changes. Many people already have the tools they need. My goal as your therapist is to help you find the tools necessary to manage these “life transitions” effectively and be able to make healthy choices for yourself , which will ultimately result in finding a sense of peace, calmness, and strength in your life to be able to face future challenges head on. As a solution focused therapist, I utilize a variety of interventions including cognitive behavioral therapy, grief counseling, education, reality based therapy, drug and alcohol intervention, to name a few. 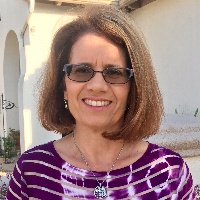 A little more about myself…I am a Licensed Clinical Social Worker , licensed in California since 1995. I have worked in a variety of settings including hospitals, skilled nursing facilities, a school based program, a community mental health clinic, and in my private practice. Through these experiences, I have had the opportunity to work with individuals of all ages. I would be honored to discuss your situation with you and help you along in your life journey. Lori was a pleasure and a joy to work with as I went through my healing journey. Her patience, kindness, encouragement, and professional experience and knowledge were exactly what I needed at this time in my life. I feel so fortunate to have worked with her as she was a large part of my growth and healing process. I would absolutely recommend Lori for anyone looking for an excellent councilor who will walk with them through a difficult journey. She was very helpful and understanding. She responded quickly to my messages and would make time when my schedule was tricky to coordinate. She is a great listener and has good advice and techniques to offer. I suffered from panic, anxiety and depersonalization and derealization. She was able to work with me on these issues. I have a life threatening chronic illness and was paired with a therapist that understands medical terminology. Would you like to write a review for Lori Crawford? We'd appreciate if you can spend a couple of minutes to write a short review for Lori Crawford (LCSW). This review would be shared with Lori Crawford. It may also be posted in our website or in Lori Crawford's profile but it would be anonymous and your identity would be kept completely confidential.